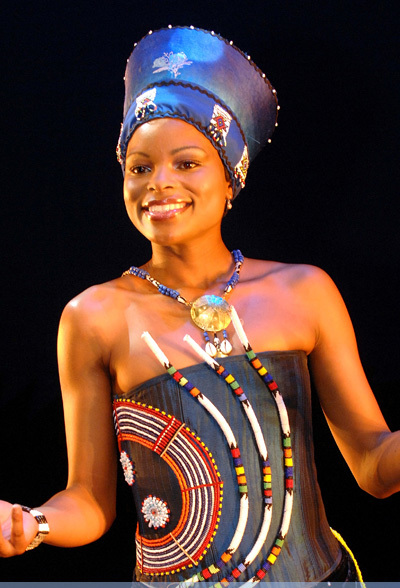 The production has played more than 3 800 performances since its debut at Gold Reef City’s Globe Theatre in May 2000. Nicknamed ‘The People’s Musical’ by reviewers in North America, Europe and the Far East, its cast has grown from the original 12 dancers and four drummers to a company of 34 today. The non-stop, 90-minute musical story of Africa’s emergence onto the world stage is linked by the poetry of Sophiatown legend Don Mattera. Executive producer Richard Loring estimates the long-running hit has put more than approximately 200 South African performers into the international spotlight on the its way to travel the world. “Featuring in the Royal Variety Show in December 2000 with to a TV viewership measured in tens of millions made us a global attraction overnight - just a few months after we opened in Gold Reef City. 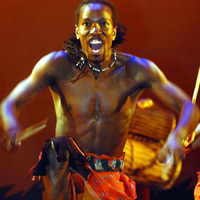 African Footprint’s reputation has continued to grow worldwide through our constant touring and highly acclaimed performances. We’re bigger and better than ever, and ready now to put South Africa on the world musical stages”. More than 30 journalists from Mexico and France attended African Footprint’s opening night at the new Lyric Theatre at Gold Reef City, representing national magazines and broadcast media. “Theatre producers are a collective, working together to build a future for our talent and our audiences,” says Loring. “Alfred Phakathi is a good example of this. He joined African Footprint at 18, living in a shack in Mamelodi, outside Pretoria, with his grandmother. After some 3 400 performances with us and becoming our touring stage director he joined a show in Europe where he was appointed dance director after 6 months and led 189 dancers in that production to rave reviews across Europe. Richard Loring says a successful theatre company is a close family. “We celebrate the good times together and draw close for support with every new challenge. Both choreographers behind African Footprint’s genesis in 2000, Debbie Rakusin and David Matamela, were recently judges for SABC1’s version of the hit American reality series “So You Think You Can Dance”.